This post originally appeared on A Thousand Sisters. You’ve read the recent news stories: 400,000 women a year; 1,152 women raped a day, a rate that’s 26 times higher than previous U.N. estimates. The numbers are hard to digest, but they send a critical message: Special Envoy Now! Appointing an envoy to Africa’s Great Lakes region is the first key step in bringing stability to the region. Join the week-long march—Special Envoy Now!—and read on to learn more about the crucial role envoys can play in conflict resolution. What is a special envoy? An envoy is a government representative who is sent to carry out a specific mission (rather than an ambassador who maintains full-time diplomatic relations). An envoy helps the president tackle complicated issues needing high-level attention, such as nuclear nonproliferation, climate change, and conflict resolution. Organizations also use envoys; Bill Clinton, for example, is the U.N.’s special envoy to Haiti. 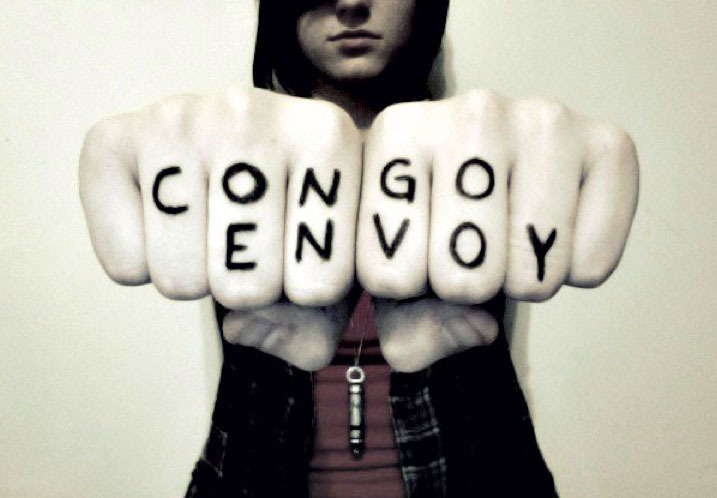 How would a special envoy help Congo? Currently, there is no coherent U.S. policy on Congo, despite the fact that the United States spends about a billion dollars a year on U.N. peacekeeping and development, humanitarian, and security assistance in Congo. A special envoy to the Great Lakes region would be tasked with developing and implementing a comprehensive strategy for the entire region, including countries such as Uganda and Rwanda, who have been deeply involved with the conflict. An envoy would also ensure that aid is conditional and includes robust support for demobilization and reintegration programs for armed groups in Congo. The Congolese government has continually failed to protect its own citizens from mass atrocity; many former warlords are found within the government, judicial system, police, and military. This has led to a breakdown of the rule of law and created a culture of impunity. An envoy would help intensify efforts to protect civilians and support efforts to hold perpetrators accountable. How? By assisting the Congolese government in creating security and judicial reform programs with clear, measurable milestones. The envoy would also have the opportunity to work with the Congolese government to implement free, fair, and credible elections this November. The State Department has made it clear that it does not want an envoy in the region because it feels ambassadors can do the job. This isn’t the right solution. More can and should be done.